That’s just part of what makes it so perfect. It doesn’t hurt that two of the three salad components are taken from the freezer, and the dressing is made from pantry staples. It also doesn’t hurt that the flavour is surprisingly complex, and a great side dish for grilled meat. I think I just talked myself into posting it. In bowl, whisk together soy sauce, sesame oil, honey and garlic until blended. 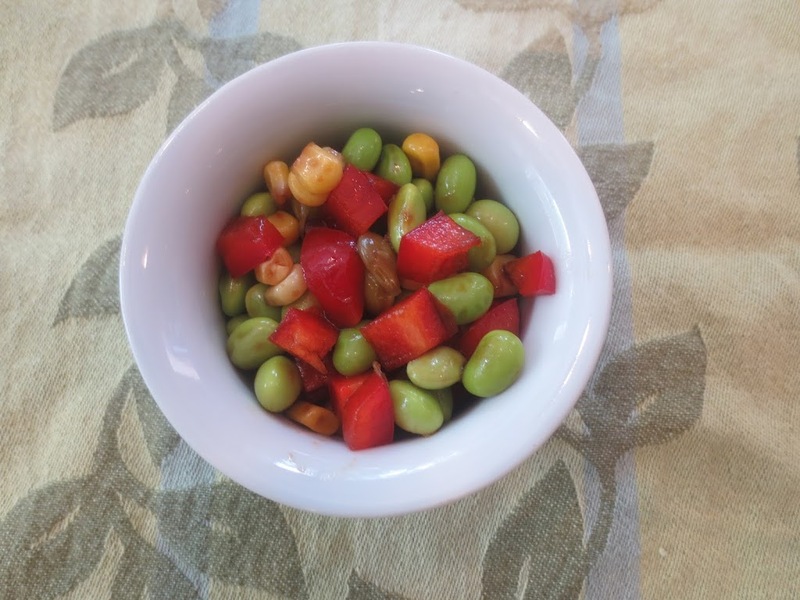 Stir in edamame, red pepper and corn. I have everything but the pepper! I love two sentence recipes! Perfect for a Sunday! This never happens, but I have ALL the ingredients in the house. Think that's a sign, right???! Hi Beth, this is the way I love to eat, love love this dish. Simplicity at its best! Love this wonderful salad, Beth. What fabulous colors this salad has!! I love simple honest flavors! Gorgeous colors–so welcome at this time of the year! We get tons of edamame from the CSA in the summer, so I am going to have to save this! This is such a simple and pretty salad. And perfectly healthy! I love something simple and nutritious, preferably with few ingredients. This is great, Beth. Sounds wonderful, Beth, fresh and light. 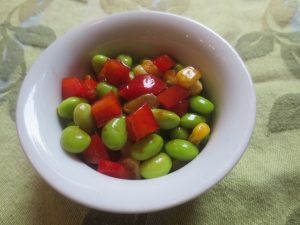 I have never had edamame, it is not something I can buy around here, but I would love to try them someday. This salad looks delicious, maybe I should try to substitute the edamame. It's so wonderful to have recipes like this ready to be made at a moment's notice. I really like edamame in salads. And this is so pretty! Really tasty, too, I'll bet. 🙂 Thanks!